Keep your squad alive and don't run out of ammo. Based on the Warcraft 3 custom map, Night of the Dead, The Red Solstice is a fast-paced, tactical squad game where you’ll find yourself saying multiple times to team members, “Game over man!”. I’m an big fan of games involving guns, explosions and lots of fire power; which The Red Solstice nailed. Developed by Ironward and published by Nikidu Games Inc., The Red Solstice is a must for anyone who likes to kill lots of evil creatures with their friends. With an 8 player co-op, you can die right along-side each other! An interesting story line also makes the single player a very enjoyable experience and keeps you in the action. The game starts with you, a marine, that has been deployed to Mars to determine the fate of the human colonies during a storm called The Red Solstice. 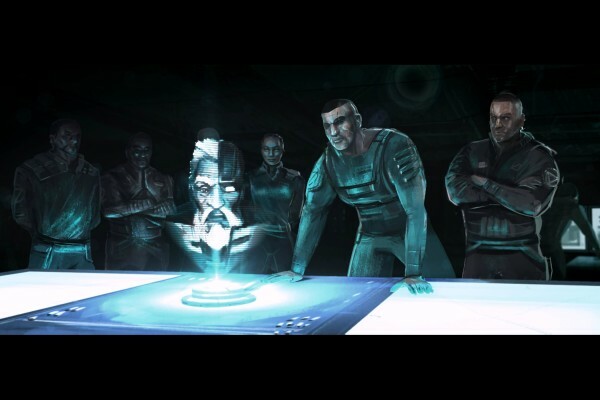 The gameplay is riddled with gore and violent situations requiring tactical strategy, so let’s talk about those first! 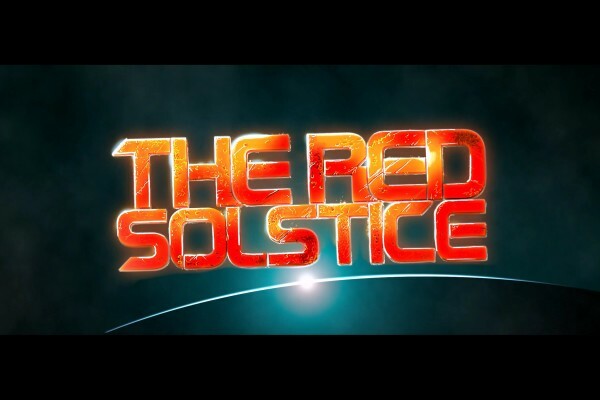 I personally found an interesting and fun aspect of The Red Solstice is the tactical and strategic gameplay. You can’t just run into situations with guns blazing or you’ll get you whole team killed (and trust me, I’ve tried it). The game offers a tactical mode that occurs during live gameplay, meaning you have to figure out what your strategy is in the middle of the fray. Ordering team members to specific positions helps keep the hordes of monsters, zombies and all sorts of creepy creatures at bay. Also, completing specific objectives requires your team covering your back. Utilizing the tactical mode is a must if you want to keep everyone on your team alive; without it you’ll end up with lots of corpses. I’ve also realized that if you want to increase your survival probability, take time to plan and coordinate your moves. There isn’t any clock counting down how long you are taking to complete the mission, so you’re not in a rush! Red Solstice offers an auto aim mode that can be enabled or disabled anytime in single or multiplayer. Simply hit the ‘e’ button and suddenly you don’t have to worry about your mouse pointer anymore. However, from playing the game with auto aim on and off, you realize very quickly that your marine wastes ammo horribly with auto aim. I have a hunch that the developers included auto aim for beginners to get a feel of the game, but didn’t want anyone to completely rely on auto aim. With auto aim on, once a target is detected your marine will shoot at it even if you are too far away or can’t get a clear shot, thus wasting your precious ammo. It is better to abandoned auto aim after the tutorial because ammo supplies become limited and you need to conserve it as much as possible. Keeping auto aim off and shooting in short bursts once targets are in clear view and in range will help keep your marine alive. Despite the awesome single player, a large draw of The Red Solstice is the multiplayer co-op. The learning curve to playing the game is rather steep, however don’t let that prevent you from trying the game because the community is great. The game’s community is currently rather small, but very active if you know where to look. I’ve jumped online to play multiplayer a few times but only see 1 to 2 hosted games available. However, you can create your own game and to get something going simply chat with other players on the steam forums or in the dedicated Red Solstice teamspeak server (join.ts4gamer.com). This is how I got all of my multiplayer games going, and everyone is very nice. The multiplayer game averages one hour, so don’t jump in unless you can devote that full hour to the game: no one likes a player who disconnects on purpose! The game is even sweeter if you have friends who own it and at $19.99 it is affordable (unless you have cheap friends!). The game is actually designed around co-op, and it features dynamic difficulty scaling, so the more friends you have the more blood, killing, and monsters there are! There is a cap though, for incentivizing large parties: at 5 players the scaling stops, meaning that with 6+ players you get more firepower and no extra baddies. Also, player experience (the kind you get from killing monsters) dictates the gameplay; with more experienced groups getting harder bosses and the like. Finding experienced players as a beginner is also a nice way to cheat the learning curve and level your character quickly. Listen and learn from them if you want to play multiplayer regularly and survive it. Don’t pull a Leeroy Jenkins your first time in or you’ll find it difficult to find others to play with. I really enjoy the single player campaign in The Red Solstice. As an introvert, playing with others isn’t usually my cup of tea (except on the FoH live stream!). But I sure enjoying killing lots of stuff offline. The single player campaign is easy to understand and starts out in a tutorial, but you’re still progressing the story line, which is a nice touch. The tutorial is easy and helpful, however, it doesn’t stay that way. After the tutorial section ends, you are thrown into the thick of it, and the ‘thick of it’ involves lots of dying. I’ve died more times than I can count, and I still haven’t gotten through the second mission! Even given the difficulty and the lots of dying, I’m still enjoying the game (which is saying something: dying makes me stompy!). It’s partly the ‘killing hordes of creatures’ that keeps me coming back for more, and part of it is the story. I’ve always been a fan of dark, gritty storylines and games with epic gore and blood, both of which are done to my satisfaction in The Red Solstice. If you like to be the one calling the shots solo, creating your own strategy and/or just doing your own thing, the single player experience in Red Solstice is just about perfect. With an 8 player co-op, you can die right alongside each other! With the fast paced storyline and lots of monsters, zombies, and terrifying creatures you’ll start playing The Red Solstice and won’t want to stop. However, because the game is pretty tough at first, you’ll want a helping hand. There are a few great guides on getting started on The Red Solstice steam community forums (this is the one I used) which help with that learning curve. 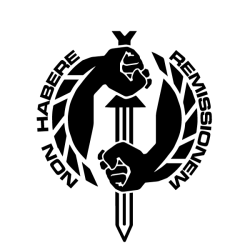 The developers, Ironward, are very passionate about the game thus any bugs or gameplay issues that may arise are being addressed and rectified. Overall, I appreciate the simplicity of the gameplay: go to this point, survive, go to next point. I’ve never liked games that take a simple concept (like shooting stuff) and turn it into a complicated game. If you’re like me and find just shooting stuff very enjoyable and love dark story lines, then I can’t recommend The Red Solstice enough!